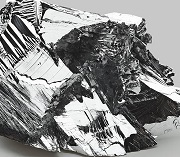 Intrinsic Character of Tellurium Market Threats | Merchant Research & Consulting, Ltd.
Tellurium is a versatile rare earth element and metalloid. Despite its functional versatility, tellurium applications are of mostly high-tech and value-added character. These applications include the following industries: photovoltaics to manufacture thin-film cadmium telluride (CdTe) solar cells (40%); electronics to produce photosensitive semiconductors (30%); metallurgy to make metal alloys (15%); chemical industry, where tellurium is used as a vulcanizing agent and accelerator in rubber production (5%); and other applications, like catalyst in synthetic fibre production and oil refining (10%). This high-tech status has specific negative and positive implications. It usually means rather expensive and technology-intensive production. In the case of tellurium, things are complicated by the fact that tellurium is obtained mostly as an intermediate product from a single source, which is anode slimes from copper refining. However, tellurium resources are far from being monopolized by a small range of countries. Another negative implication is an increased probability to quickly go out of fashion when other rival materials (like amorphous silicon and copper indium gallium selenide) act as effective substitutes in accordance with Porter’s Five Forces Framework. These features of tellurium market are of intrinsic nature. Thus, when tellurium market limitations are exacerbated by other market forces, the effect could be quite devastating. This happened to tellurium prices that experienced a seven-fold slump from 2011. Nevertheless, the commercial potential of tellurium should not be underestimated. Invigoration of the demand for tellurium may immediately improve margins. For instance, a recent agreement which stipulates that US solar panel company First Solar (the USA) will purchase significant amounts of tellurium from 5N Plus, a Canada-based producer of specialty metal and chemical products, may drastically boost tellurium prices and improve tellurium market dynamics. More information on the tellurium market can be found in the in-demand research study “Tellurium: 2018 World Market Review and Forecast to 2027”.